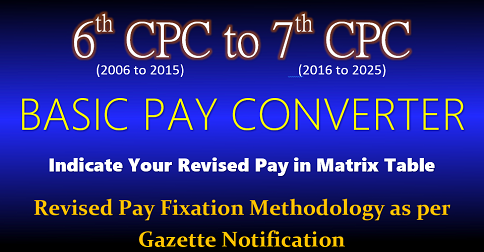 Gp B what is my latest 7th CPC pension. Sir I am ex jwo .Retired from IAF on 30 se 1999. After 20 years of service. What will be my pension as per pcda circular no 609. Pls guide us. And when our new e ppo will be issued?. I was pension from Army Mechinf on 24 year and 29 days complete service on the rank of Hav wef 1 Jun 2008 .The pension as per 7cpc as on 17995/-pm..My revised pension is not done. Pl clearfy at earliest. I retired from IAF in the rank of HFO after serving for 39 years and 2 months.My pension was fixed Rs 15465/- ppo under 6th cpc and revised vide orop award at Rs 16160/-(33 years above).which is correct vide table 7 of orop.SBI pension bank. Now in the month of Oct 2018 my pension is reduced to Rs 16090/- applicable to32.5 years.and the difference of paid amount since 2014 recovered. This move by SBI is not understood.It may be rectified and pension for 33years and above vide orop table 7 restored.or valid reason explained. 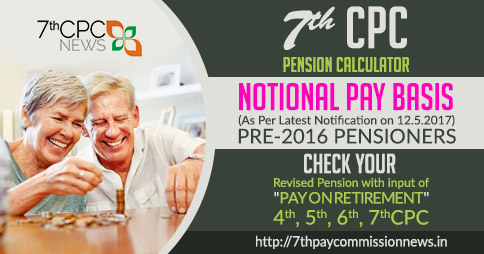 Check up your last 10 months average basic pay, Pension will be calculated as per the pension. Due to arrears income tax may be recovered or in view of total other any income from bank (F.D INTEREST) it might have been recovered. 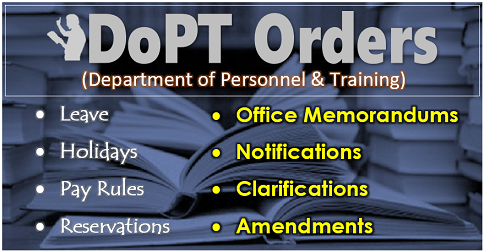 If not contact your Head of ex-employer/PAO. Sir, i served 24 ys, 12ds pension wef01nov 2008.please tell me basic pension. Rank h nb sub ex AMC. Gp Y.
I retired from IAF in 2001 December on completion of more than 38yrs of service in the rank of HFO. OROP table states that HFO served 33 yrs and above to be fixed at Rs 16160/- pm. But SBI has fixed my pension at Rs 16090/- pm for service of 32 yrs since OROP implementation. HFO drawing pension from other banks getting Rs 16160/- pm since OROP implementation. Two different amounts for the same rank from different banks not understood. Request clarify which amount is correct. I was discharged from army ordnance corps on 1st July 1988.after completion of 18 year’s 11 months as HAV group B grade 1st. 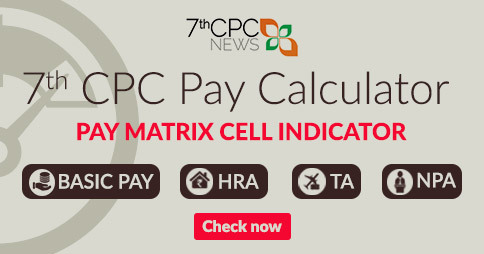 What is my pension at present 7th CPC , declaration. 18427. 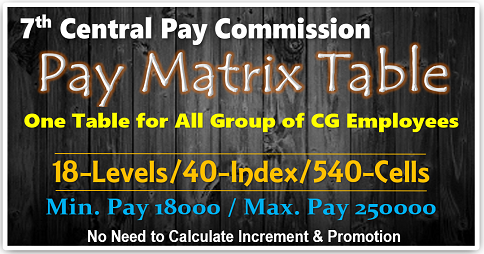 × 2.57 = 47357.39 /- PM it is required to be reconciled and corrected by pension paying authority,. which is not done. I was discharged from IAF on 31 Jul 2011 on completion of 39 yrs of service in the rank of Hony Fg Offr. 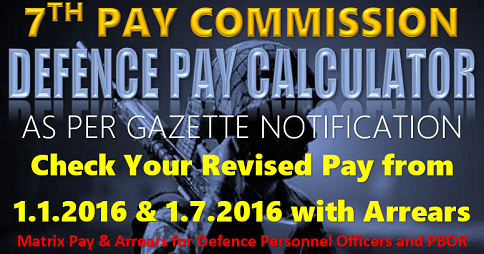 Pension was fixed @ 15465/-pm On implementation of 7cpc pension is fixed @ 15465 × 2,57 = 39745/- pm instead of 41160/- pm as per OROP table. 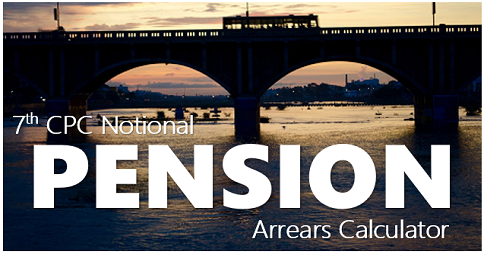 It is required to be reconciled and corrected by pension paying authority, which is not done.